After one week of calling witnesses to the stand, the Amann/Punk/Cabana libel trial came to an end and closing remarks from the legal team of each side will be delivered today. After the closing remarks, the tide shifts to the jury where they will be deliberating to determine the outcome of this trial. WWE’s Dr. Chris Amann is seeking $1 million in damages. Amann is alleging that the podcast from Punk and Cabana caused serious damage to his reputation although he failed to really explain what the damage was since he was still employed by WWE. Meanwhile, Punk’s flip-flopping of certain answers regarding his lump and actions back then might not look good for the jury. The trial wrapped up with both CM Punk and his wife AJ testifying and talking about the now-famous lump that changed several sizes throughout the week-long trial. Other individuals also testified in court while several others testified via a pre-recorded video. 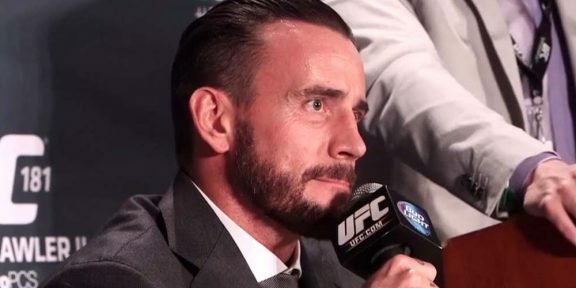 This trial, which was delayed, could not have come at a worse time for CM Punk as he is currently in training for his second UFC fight which takes place on Saturday in Chicago at UFC 225.